Over at Stepover Jenny tried to jump the bar like a long jumper but failed miserably, however it proved a popular technique in trying to save lives as even Bob jumped it like a Gazelle. In Rebound Shauna was the best of the best and landed right in the middle of the zone with a great shot, we knew from then on she was going to be the one to watch! Next up was Digit which proved a hard game for this team to get their teeth into, they tried so hard but in the end there werre only 2 winners; Shauna and Keith, the mighty champions.Cylinder proved to be a tricky challenge with a lot of the teams coming close, then came Sara who did her best but the red face didn't help much either. With Precision Bounce there were a few good winners but we do have to mention Linda's epic fail with her ball going in the wrong direction!!! For the grand finale all the teams life's were checked and verified and Gradient was in The Qube and ready to go. All the teams were giving a practice shot with a few mastering but a few failing. Doug, Grieg and Chris were outstanding at this challenge and managed to win over £3000 between them to add to their teams total. 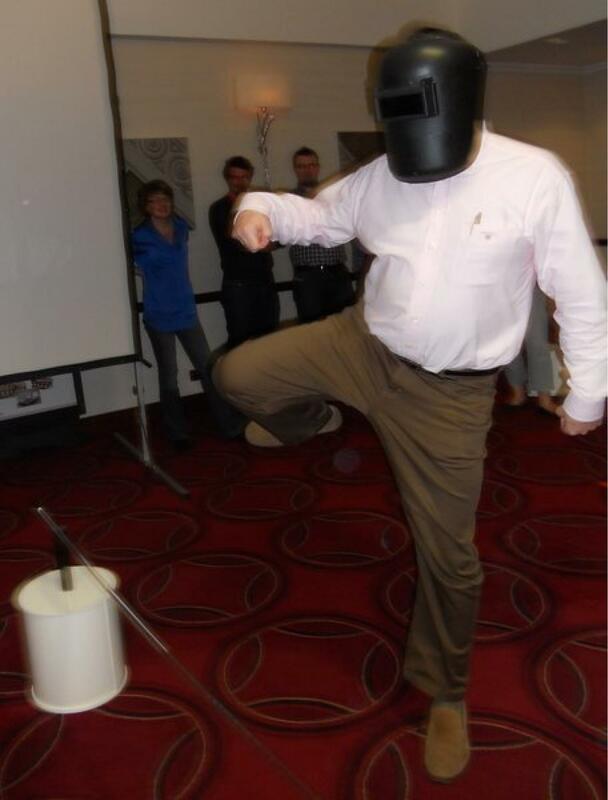 Impressive but was it enough? Absolutely fantastic event! 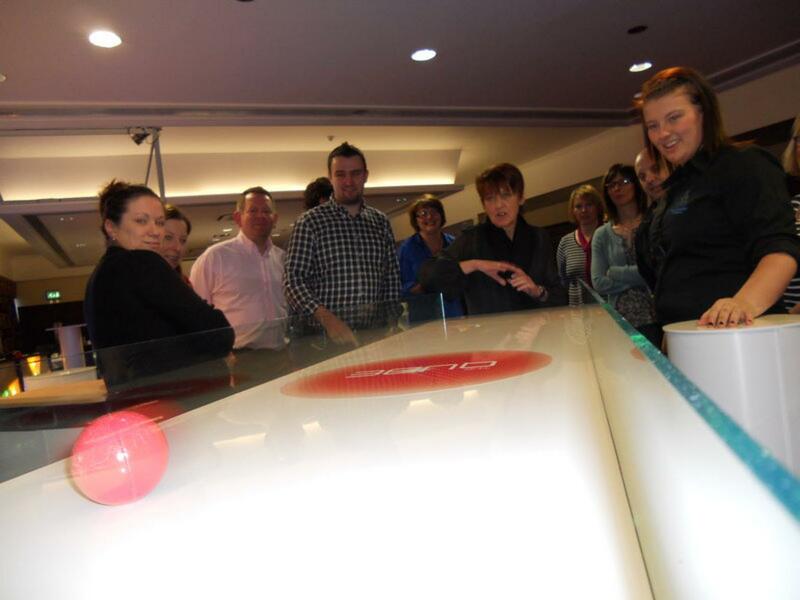 The whole team really enjoyed participating in an event that is relatively new to the "team building" scene! The Team Challenge personnel were a pleasure to deal with and are excellent at what they do! Also, a big "thank you" to the Altens Thistle Hotel for providing us with the venue to hold this event and also for a lovely lunch! I would have no hesitation in recommending Team Challenge and the Altens Thistle Hotel for these kind of events! Once again, thanks for a great afternoon! What an excellent afternoon of Team Building this was with a wonderful group from Total! The Qube went down an absolute storm, and the competitive spirit really ran strong throughout the team. Bill and Ben the Flower Pot Grils were all over the place, and I think the kknew all along that they would be taking home the Wooden Spoon! However, what a sensational performance from Team Nobody, we think you should try and sign-up for the real TV show and win a fortune! A big shout-out to Arlene and Margaret for all their hard work in organising such a fantatsic Team Building event, as well as a big-thank you to the entire team at Thistle Altens Hotel. 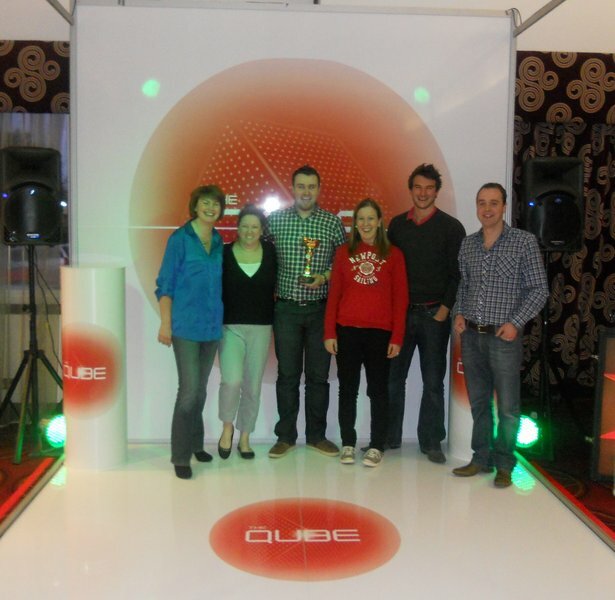 We hope you all had a great time with The Qube, and we very much look forward to working with you all again soon.